Tyson could be hinting at a new Punch-Out!! game, but it's unclear what his beef is with Nintendo at this time. Mike Tyson took to Twitter today with a bone to pick with Nintendo over an apparent upcoming Punch-Out!! game. Tyson tagged Nintendo in a tweet this afternoon, seemingly calling the company out for "not contacting him" in regard to some sort of new Punch-Out!! game. It's unclear what new Punch-Out!! game Tyson is referring to, as to our knowledge there hasn't been a brand new entry in the series announced just yet, or a sequel, that we know of. Recently, Punch-Out!! was announced as one of the newest additions to the collection of Nintendo Switch Online titles on the service, so perhaps he saw this game was being added and wanted to comment on it, but that makes very little sense as well. 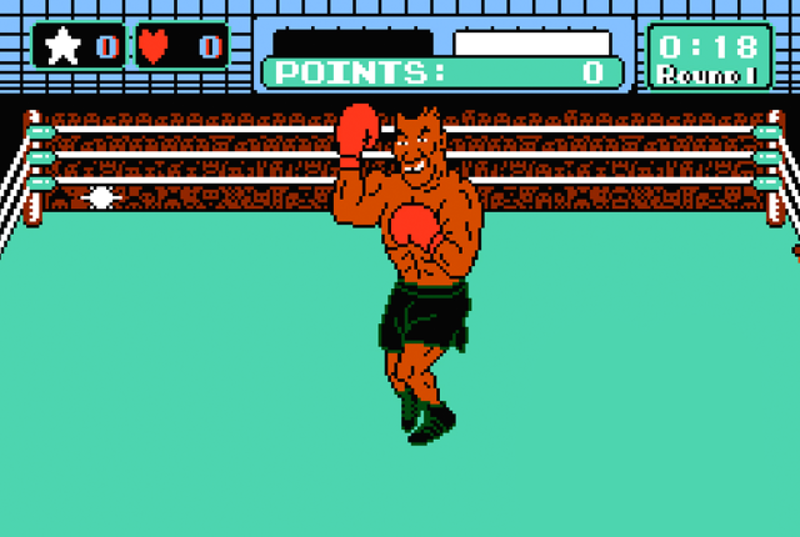 It's important to remember that Mike Tyson hasn't been used in subsequent releases of Punch-Out!! titles like Super Punch-Out!! or Punch-Out!! on the Nintendo Wii, as the company's license to use him in their games actually expired back in 1990. A completely fictional character named Mr. Dream was supplanted instead in the games, and we haven't seen an official Punch-Out!! featuring Mike Tyson in some time. Why would he have this frustration now, or has he not been paying attention? Claims that the game "won't be the same" don't hold up for that very reason, but perhaps he knows something that we don't. All we know is that there have been several other knockouts in the series that have done the games just fine, so Mike may just be bored today looking to stir up some drama. Either way, if there's a new game on the way, we'll let you know as soon as we find something out. I always wanted to play a game where Mike Tyson goes to Nintendo head quarters and knocks everyone out. Maybe if you made some different choices in life, my man. yeah... it's not the same to me, but if I were Nintendo I wouldn't exactly want to be associated with him. Not surprising at all. Why would Nintendo want to deal with his licensing and legacy? Kids playing switch probably don't care who the final boss is. He's taking about the original Punchout being added to their subscription. He doesn't even realize that they cut him from that game decades ago, and have released multiple sequels without him since then.